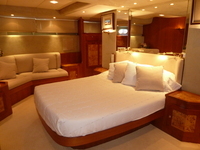 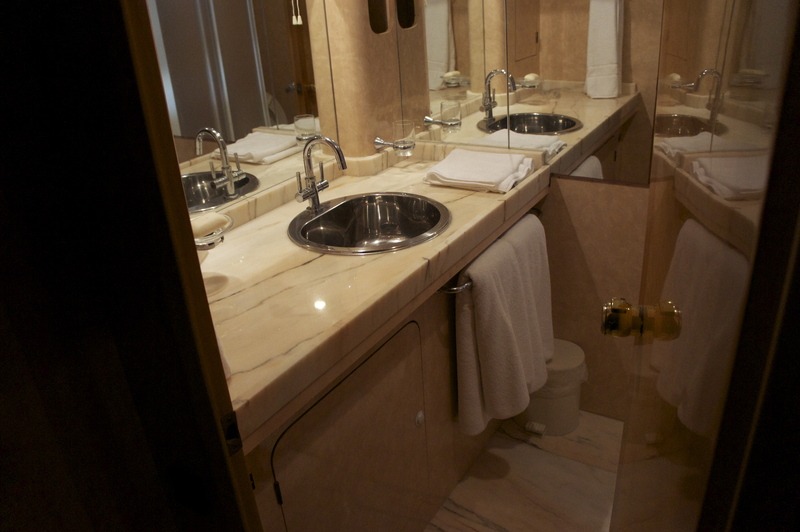 Lady Tatiana can accommodate up to 12 guests sleeping on board in 5 en-suite guest's cabins. 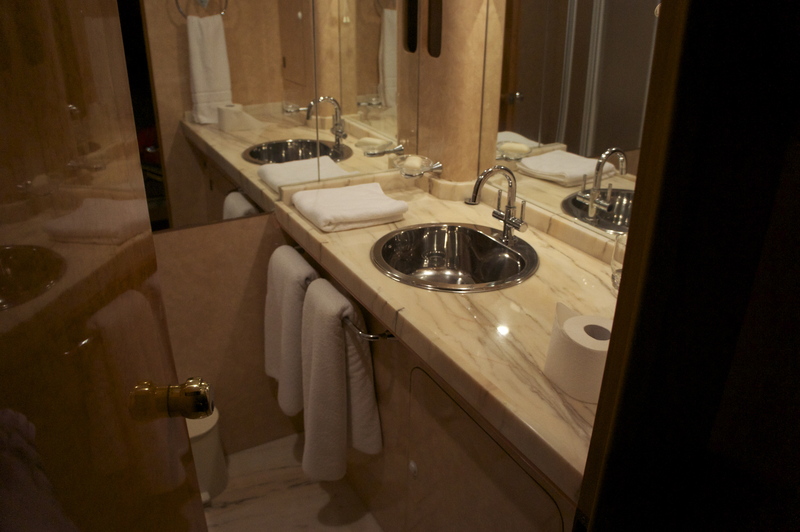 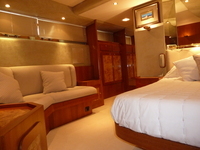 The 5 en-suite cabins comprise of the owner's cabin which has a king size bed, the VIP cabin which has a queen size bed, the aft guest cabin which has a standard size double bed, the port (mid ships) cabin which has two single beds and one Pullmans bed and the starboard (mid ships) twin cabin which also has two single beds and one Pullmans bed. 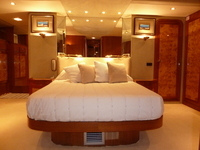 If guests require 6 guest cabins and if and only if the compliment of crew does not exceed 4 for a charter and if and only if the captain agrees to use the forward crew cabin with the remainder of the crew then it may be possible for the crew to use the single 4 person en-suite foward crew cabin and thereby affording the guests use of 6 guest cabins. Photos of the guest accommodation are provided below.